The militarization of U.S. foreign policy certainly didn’t start with President Donald J. Trump; in fact, it goes back several decades. However, if Trump’s first 100 days in office are any indication, he has no intention of slowing down the trend. To underscore the new administration’s preference for force over diplomacy, the decision to experiment with the explosive power of the mega-bomb was taken unilaterally by General John Nicholson, the commanding general of U.S. forces in Afghanistan. In praising that decision, Pres. Trump declared that he had given “total authorization” to the U.S. military to conduct whatever missions they wanted, anywhere in the world—which presumably means without consulting the interagency national security committee. It is also telling that Pres. Trump chose generals for two key national security positions traditionally filled by civilians: the Secretary of Defense and the National Security Advisor. Yet three months into his administration, he has left unfilled hundreds of senior civilian governmental positions at State, Defense and elsewhere. Members of the New York Air National Guard’s 1174th Fighter Wing Maintenance Group place chalks on a MQ-9 Reaper after it returned from a winter training mission at Wheeler Sack Army Airfield, Fort Drum, N.Y., Feb. 14, 2012. While Pres. Trump has not yet enunciated a policy on the subject of political assassinations, there has so far been no indication that he plans to change the practice of relying on drone killings established by his recent predecessors. He instituted this prohibition after investigations by the Church Committee (the Senate Select Committee to Study Governmental Operations with Respect to Intelligence Activities, chaired by Sen. Frank Church, D-Idaho) and the Pike Committee (its House counterpart, chaired by Rep. Otis G. Pike, D-N.Y.) had revealed the extent of the Central Intelligence Agency’s assassination operations against foreign leaders in the 1960s and 1970s. With a few exceptions, the next several presidents upheld the ban. But in 1986, President Ronald Reagan ordered an attack on Libyan strongman Muammar Gaddafi’s home in Tripoli, in retaliation for the bombing of a nightclub in Berlin that killed a U.S. serviceman and two German citizens and injured 229. In just 12 minutes, American planes dropped 60 tons of U.S. bombs on the house, though they failed to kill Gaddafi. Twelve years later, in 1998, President Bill Clinton ordered the firing of 80 cruise missiles on al-Qaida facilities in Afghanistan and Sudan, in retaliation for the bombings of U.S. embassies in Kenya and Tanzania. The Clinton administration justified the action by asserting that the proscription against assassination did not cover individuals whom the U.S. government had determined were connected to terrorism. Days after al-Qaida carried out its Sept. 11, 2001, attacks on the United States, President George W. Bush signed an intelligence “finding” allowing the Central Intelligence Agency to engage in “lethal covert operations” to kill Osama bin Laden and destroy his terrorist network. White House and CIA lawyers argued that this order was constitutional on two grounds. First, they embraced the Clinton administration’s position that E.O. 11905 did not preclude the United States’ taking action against terrorists. More sweepingly, they declared that the ban on political assassination did not apply during wartime. The Bush administration’s wholesale rejection of the ban on targeted killing or political assassinations reversed a quarter-century of bipartisan U.S. foreign policy. It also opened the door to the use of unmanned aerial vehicles to conduct targeted killings (a euphemism for assassinations). The U.S. Air Force had been flying unmanned aerial vehicles (UAVs), since the 1960s, but only as unmanned surveillance platforms. Following 9/11, however, the Department of Defense and the Central Intelligence Agency weaponized “drones” (as they were quickly dubbed) to kill both leaders and foot soldiers of al-Qaida and the Taliban. The United States set up bases in Afghanistan and Pakistan for that purpose, but after a series of drone attacks that killed civilians, including a large group gathered for a wedding, the Pakistani government ordered in 2011 that the U.S. drones and U.S. military personnel be removed from its Shamsi Air Base. However, targeted assassinations continued to be conducted in Pakistan by drones based outside the country. In 2009, President Barack Obama picked up where his predecessor had left off. As public and congressional concern increased about the use of aircraft controlled by CIA and military operators located 10,000 miles away from the people they were ordered to kill, the White House was forced to officially acknowledge the targeted killing program and to describe how persons became targets of the program. Instead of scaling the program back, however, the Obama administration doubled down. It essentially designated all military-age males in a foreign strike zone as combatants, and therefore potential targets of what it termed “signature strikes.” Even more disturbing, it declared that strikes aimed at specific, high-value terrorists, known as “personality strikes,” could include American citizens. That theoretical possibility soon became a grim reality. In April 2010, Pres. Obama authorized the CIA to “target” Anwar al-Awlaki, an American citizen and a former imam at a Virginia mosque, for assassination. Less than a decade before, the Office of the Secretary of the Army had invited the imam to participate in an interfaith service following 9/11. But al-Awlaki later became an outspoken critic of the “war on terror,” moved to his father’s homeland of Yemen, and helped al-Qaida recruit members. 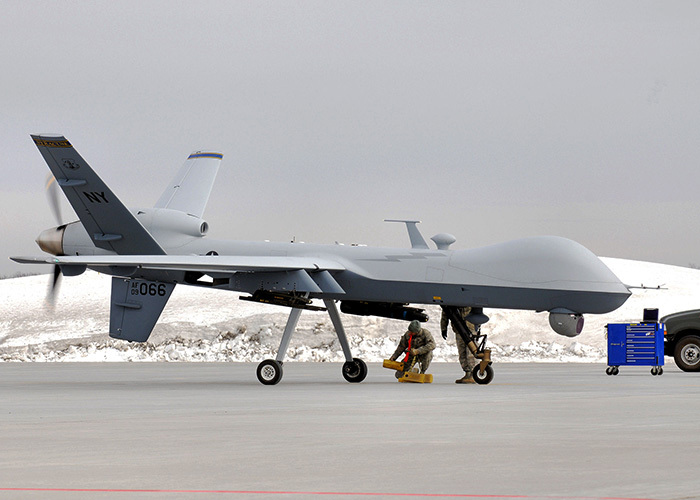 The Bush administration’s wholesale rejection of the ban on targeted killing opened the door to the use of unmanned aerial vehicles to conduct targeted killings. On Jan. 29, 2017, al-Awlaki’s 8-year-old daughter, Nawar al-Awlaki, was killed in a U.S. commando attack in Yemen ordered by Obama’s successor, Donald Trump. Meanwhile, the media continued to report incidents of civilians being killed in drone strikes across the region, which frequently target wedding parties and funerals. Many inhabitants of the region along the Afghan-Pakistan border could hear the buzz of drones circling their area around the clock, causing psychological trauma for all those who live in the area, especially children. The Obama administration was strongly criticized for the tactic of “double-tap”—hitting a target home or vehicle with a Hellfire missile, and then firing a second missile into the group that came to the aid of those who had been wounded in the first attack. Many times, those who ran to help rescue persons trapped inside collapsed buildings or flaming cars were local citizens, not militants. Even if these claims are true, however, they do not address the impact of the tactic on U.S. foreign policy. Of broadest concern is the fact that drones allow presidents to punt on questions of war and peace by choosing an option that appears to offer a middle course, but actually has a variety of long-term consequences for U.S. policy, as well as for the communities on the receiving end. By taking the risk of loss of U.S. personnel out of the picture, Washington policymakers may be tempted to use force to resolve a security dilemma rather than negotiating with the parties involved. Moreover, by their very nature, UAVs may be more likely to provoke retaliation against America than conventional weapons systems. To many in the Middle East and South Asia, drones represent a weakness of the U.S. government and its military, not a strength. Shouldn’t brave warriors fight on the ground, they ask, instead of hiding behind a faceless drone in the sky, operated by a young person in a chair many thousands of miles away? Drones allow presidents to punt on questions of war and peace by choosing an option that appears to offer a middle course, but actually has a variety of long-term consequences for U.S. policy. Since 2007, at least 150 NATO personnel have been the victims of “insider attacks” by members of the Afghan military and national police forces being trained by the coalition. Many of the Afghans who commit such “green on blue” killings of American personnel, both uniformed and civilian, are from the tribal regions on the border of Afghanistan and Pakistan where U.S. drone strikes have focused. They take revenge for the deaths of their families and friends by killing their U.S. military trainers. As of 2012 the U.S. Air Force was recruiting more drone pilots than pilots for traditional aircraft—between 2012 and 2014, they planned to add 2,500 pilots and support people to the drone program. That is nearly twice the number of diplomats the State Department hires in a two-year period. Congressional and media concern over the program led to the Obama administration’s acknowledgment of the regular Tuesday meetings led by the president to identify targets for the assassination list. In the international media, “Terror Tuesdays” became an expression of U.S. foreign policy. To many around the world, U.S. foreign policy has been dominated for the past 16 years by military actions in the Middle East and South Asia, and large land and sea military exercises in Northeast Asia. On the world stage, American efforts in the areas of economics, trade, cultural issues and human rights appear to have taken a back seat to the waging of continuous wars. Continuing the use of drone warfare to carry out assassinations will only exacerbate foreign distrust of American intentions and trustworthiness. It thereby plays into the hands of the very opponents we are trying to defeat. During his campaign, Donald Trump pledged he would always put “America First,” and said he wanted to get out of the business of regime change. It is not too late for him to keep that promise by learning from his predecessors’ mistakes and reversing the continued militarization of U.S. foreign policy. Ann Wright spent 29 years in the U.S. Army and Army Reserves, retiring as a colonel. She served 16 years in the Foreign Service in Nicaragua, Grenada, Somalia, Uzbekistan, Kyrgyzstan, Sierra Leone, Micronesia and Mongolia, and led the small team that reopened the U.S. embassy in Kabul in December 2001. 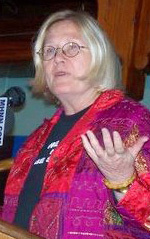 She resigned in March 2003 in opposition to the war on Iraq, and is co-author of the book Dissent: Voices of Conscience (Koa, 2008). She speaks around the world about the militarization of U.S. foreign policy and is an active participant in the U.S. anti-war movement.